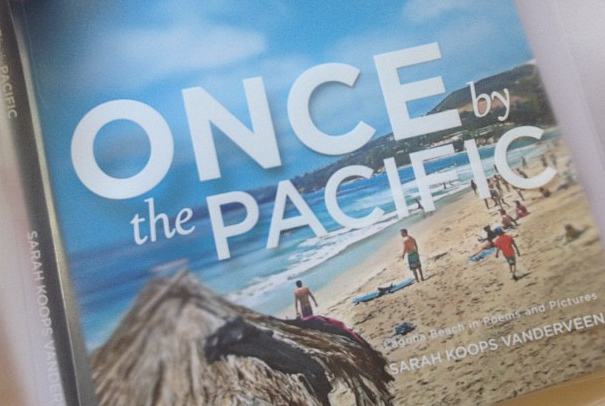 Brooks Street Books is pleased to announce the publication of Once by the Pacific: Laguna Beach in Poems and Pictures by Sarah Koops Vanderveen, also featuring photographs by John Van Hamersveld and Scott Sporeleder. Laguna Beach, California, became famous as an artists' colony in the 1920s, infamous as a mecca for hippies and surfers in the 1960s, and it still attracts free spirits and seekers of beauty. Among those is inspired by its light, landscape and people is poet Sarah Koops Vanderveen. In Once by the Pacific, she captures the rhythms of real life in a much-mythologized place that is ultimately, in her words, quirky, lovely, and authentic. Once by the Pacific is a must-have coffee table book for anyone who loves the coves, beaches and canyons of this beautiful community, or has ever wanted to visit Laguna Beach. The book is available on Amazon.com, at independent bookstores like Laguna Beach Books, and at Brooksstreetbooks.com for the suggested retail price of $29.95. Sarah Koops Vanderveen is a writer and blogger living in Laguna Beach. She is the former editor of The Mars Hill Review, a literary journal focused on the intersection of faith and culture, and also Krakoosh magazine, a content-driven catalog emphasizing adventure sports.